Job Search - Burlington Area Chamber of Commerce ? Pizza Works has immediate openings for dependable part-time drivers. Please call 781-229-6757 for details. 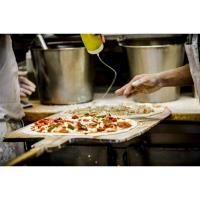 Pizza Works has an immediate opening for an experienced full-time line cook in their Burlington, MA location. Please call 781-229-6757 for details. Frank Pepe's Pizzeria-Burlington is Hiring! The Boston Burlington Marriott is Hiring!